&middot; DRUM DYED INDIAN LEATHER BRIDLE( DD LEATHER ) &middot; COW SOFTY LEATHER PADDED AT NOSEBAND & BROWBAND &middot; REINS INCLUDED . &middot; S.S. FITTING &middot; AVAILABLE IN DIFFERENT COLOR AND SIZES. The materia is 100% pure sheepskin that is imported from Australia 2.we can produce each kind of product 300 pieces every day. 4.We have done business with IK , So we have a good reputation and ability 5.Our factory will under strict inspection, So quality is guaranteed. The most important ,We can make products according to your request. we are manufacturer of Premium Quality Horse Bridles from carefully selected International quality Harness Leather with soft cow softy padding. we use only SS or Brass high quality top grade fittings in all our Bridles. please visit Nehal Leather works website for more detail. 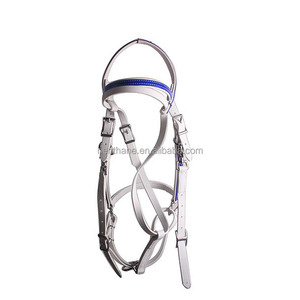 Alibaba.com offers 1,795 racing bridle horse products. About 53% of these are other horse products. A wide variety of racing bridle horse options are available to you, such as free samples, paid samples. There are 1,705 racing bridle horse suppliers, mainly located in Asia. The top supplying countries are India, China (Mainland), and Pakistan, which supply 64%, 29%, and 4% of racing bridle horse respectively. 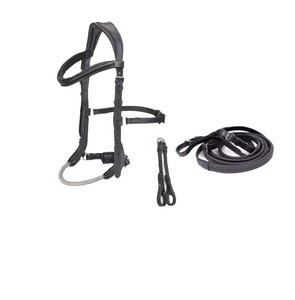 Racing bridle horse products are most popular in North America, Northern Europe, and Western Europe.